Repairs to the external walls, cornices and window sills. Refurbishment of shower room, bathroom, toilet and boiler flue. Reconfiguration of the main kitchen and dining room. Replace floor coverings in corridors. Upgrade internal fire doors. Redecoration of all external walls and ancillary items. 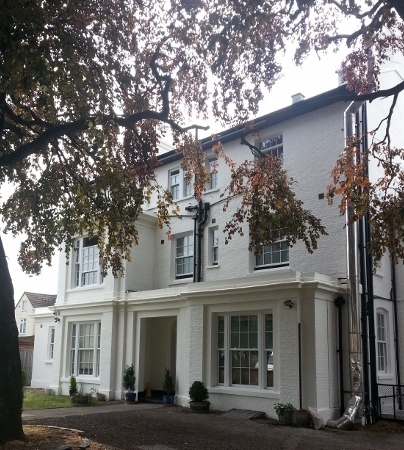 Replaced existing timber windows, doors and grilles. Repairs and insulation of slated pitched roofs and recover flat roofed areas. External landscaping works. Works were carried out in a live Children's Home environment by our C.R.B. checked operatives.